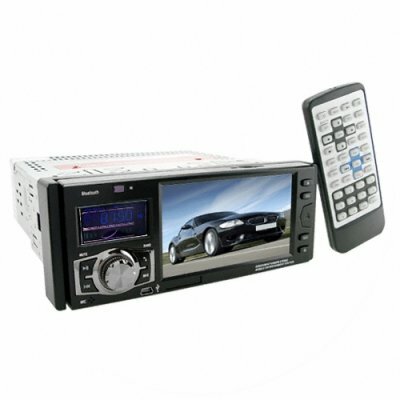 Successfully Added One Din Car DVD Player with Touchscreen - Dual Screen Display to your Shopping Cart. Low priced car DVD player with one 4.3 inch touch screen and a handy second information screen. This is a smooth looking single din car DVD player that will fulfill all of your car media needs. Excellent compatibility with the most popular media and disc formats, subwoofer preout for booming bass, iPod firewire/ USB SD card reader for your digital media, built in Bluetooth for handsfree calling and included A2DP profile, and a detachable faceplate with an included carry case for security are all just a few things making this an easy choice for anyone looking to bump their vehicle to the next level. With no moq and, free blind droppshipping, Chinavasion makes it easy to add this to your own catalog, so take advantage of this highly profitable item..